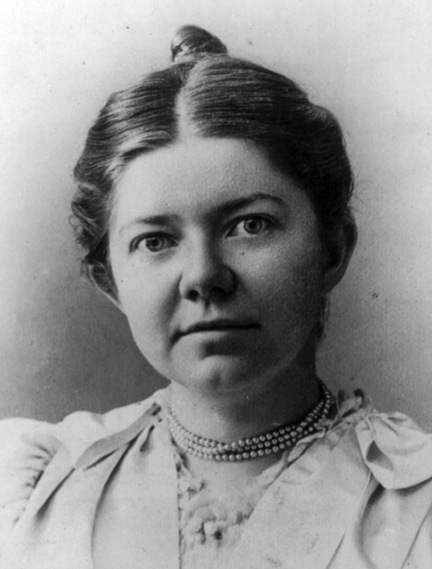 The Ear has received the following major announcement to post about the Wisconsin Union Theater, which The Ear calls “the Carnegie Hall of Madison” for its long and distinguished history of presenting great performing artists. 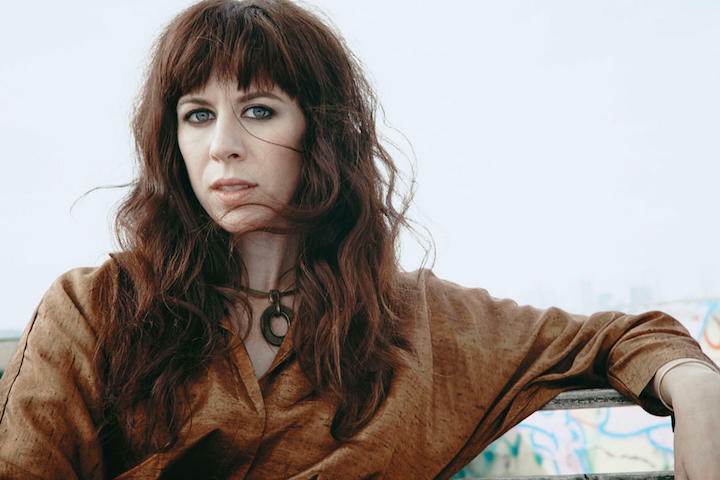 The Wisconsin Union Theater (below top, with Shannon Hall below bottom) is delighted to announce the schedule for its 100th Concert Series during 2019-20. In this celebratory year, we introduce two exciting additions: A transformative gift by Kato Perlman establishes the David and Kato Perlman Chamber Series, ensuring the world’s best chamber ensembles continue to perform as a regular feature of the Concert Series. 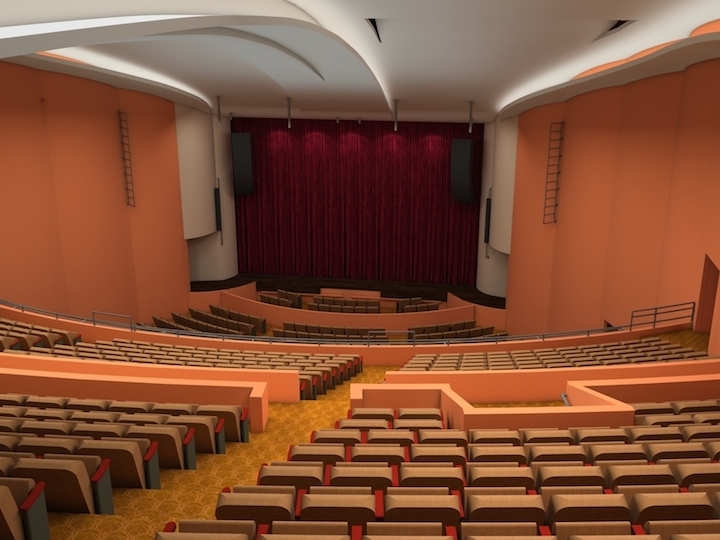 Additionally, two Concert Series performances will take place in the Mead Witter School of Music’s new Hamel Music Center (below). We look forward to increased collaborations with the school of music. 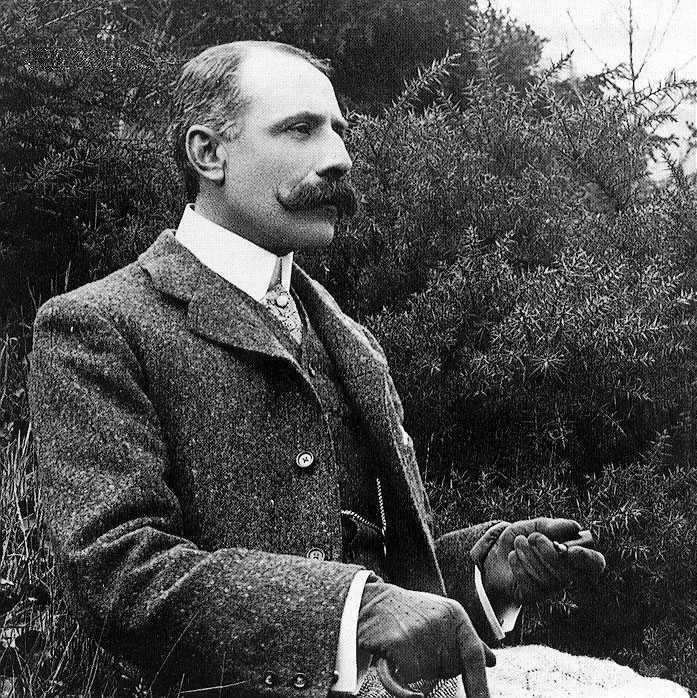 The first season of this distinguished series was in 1920-1921, and featured soprano May Peterson, violinist Fritz Kreisler and pianist Benno Moiseiwitsch. Nineteen years later, in 1939-1940, the series moved to the newly opened Wisconsin Union Theater. 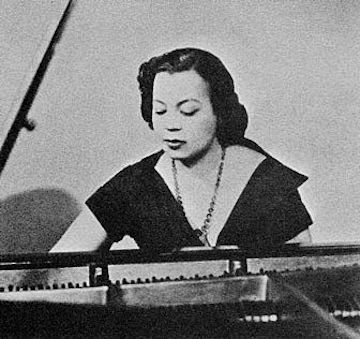 The first season in the Wisconsin Union Theater featured bass singer Ezio Pinza, cellist Emanuel Feuermann, violinist Joseph Szigeti, pianist Robert Casadesus and, the highlight, contralto Marian Anderson. 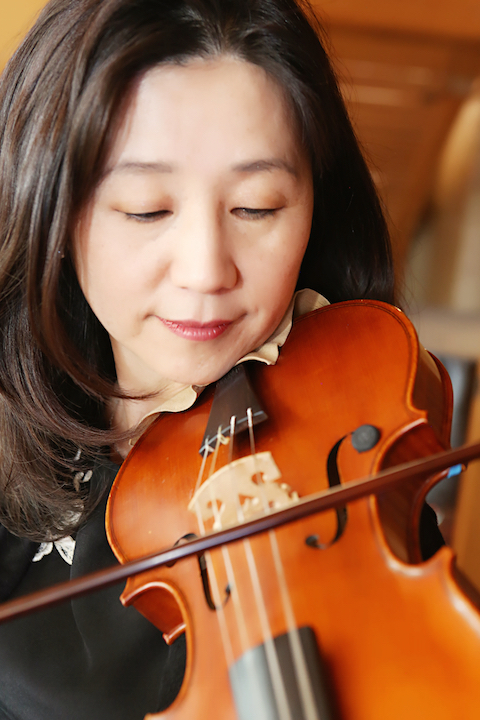 Through these 99 years, numerous renowned, accomplished and prominent classical musicians have played in the series, the longest continuous classical series in the Midwest. Some made their debut here and continued returning as their fame rose. See this article for an interview with former WUT director Michael Goldberg about the history of the series. 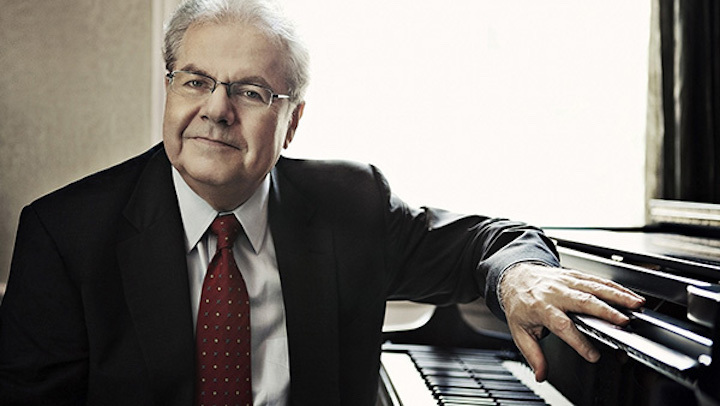 Nov. 2 – Pianist Emanuel Ax (below), Shannon Hall. All-Beethoven program, including Piano Sonatas Nos. 1, 2 and 3. 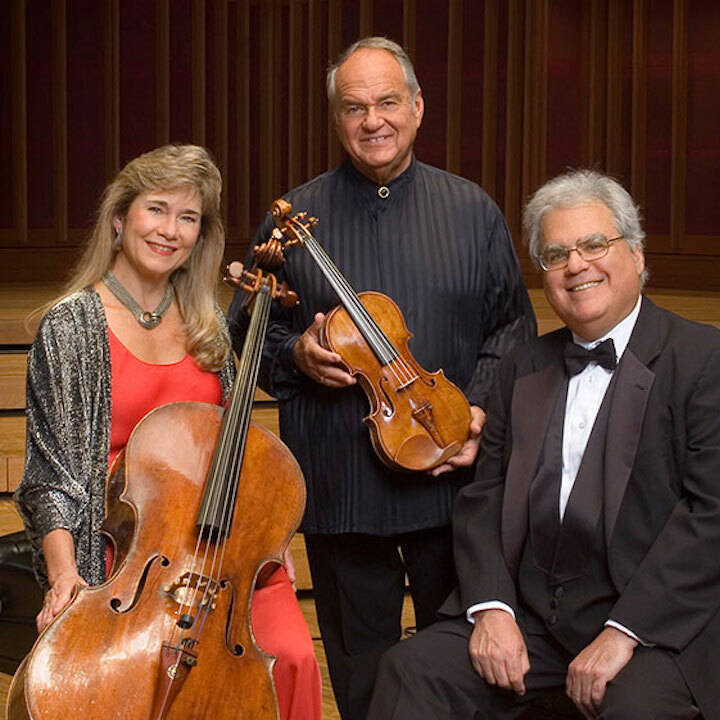 Dec. 6 – The Kalichstein, Laredo and Robinson Piano Trio (below), Shannon Hall. “Canonic Etudes” by Robert Schumann; Piano Trio No. 1 in D minor by Felix Mendelssohn; and Piano Trio in B-flat major “Archduke” by Ludwig van Beethoven. Jan. 25, 2020 – The Escher String Quartet (below), featuring David Finckel, Shannon Hall. Quartets by Franz Joseph Haydn, Fritz Kreisler and Franz Schubert. 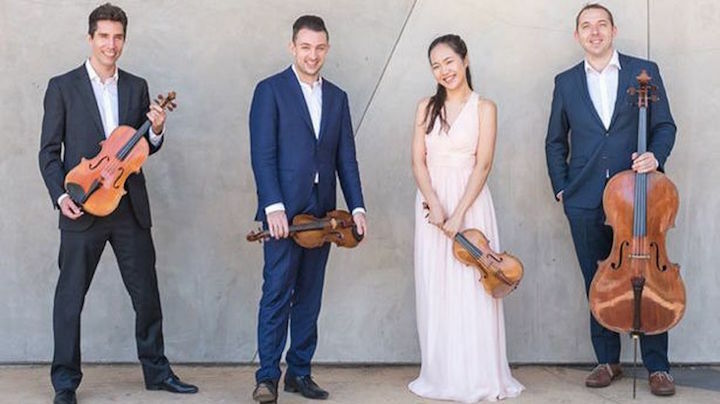 March 5, 2020 – Chamber Music Society of Lincoln Center – featuring David Finckel, Wu Han, Paul Neubauer and Arnaud Sussman, Shannon Hall. Sonatine by Antonin Dvorak; Piano Quartet by Josef Suk; Piano Quartet No. 1 in G Minor, Op. 25, by Johannes Brahms. 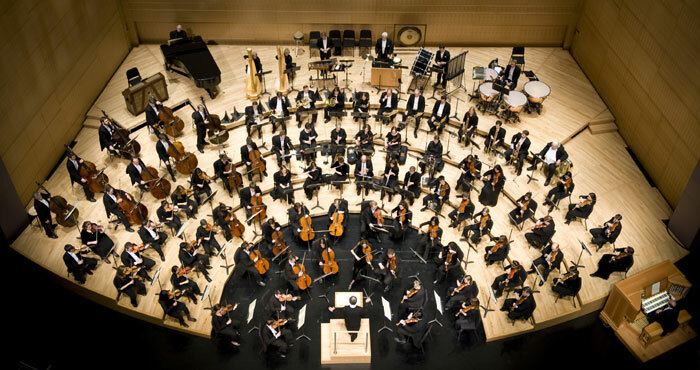 March 7, 2020 – Wu Han with the UW Symphony Orchestra, Hamel Music Center. Program TBD. 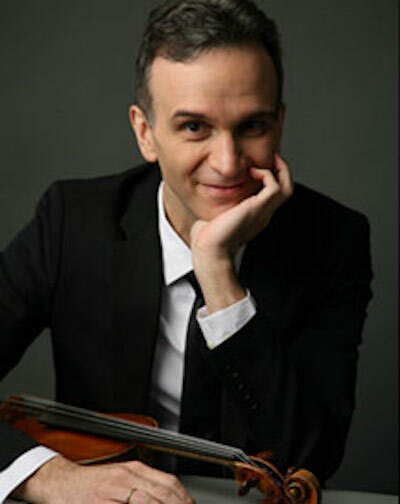 March 28, 2020 – Violinist Gil Shaham (below) with pianist Akira Eguchi, Shannon Hall. Program TBD. 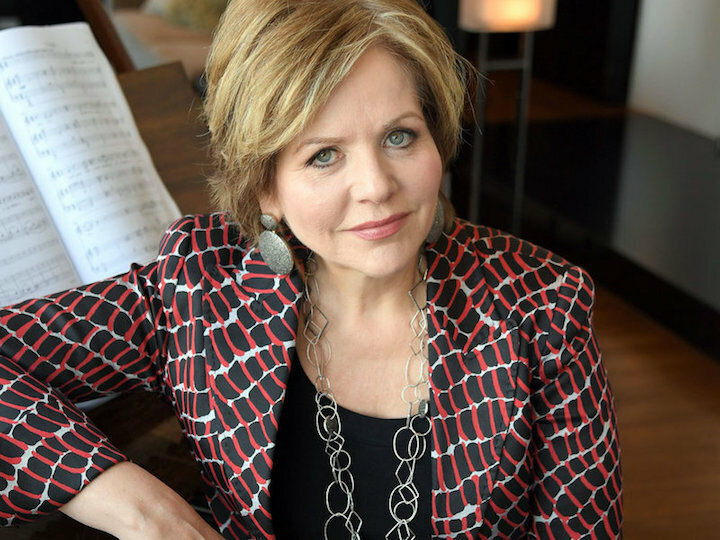 May 2, 2020 – Special Gala Concert with Renée Fleming (below). Shannon Hall. Mixed Recital. All programs are subject to change. Subscriptions will be available starting March 18, 2019. Subscribers benefits include: access to the best seats, 20% off the price of single tickets, no order fees, a free ticket to Wu Han’s performance with the UW Symphony Orchestra, and the opportunity to be first to purchase tickets to Renée Fleming’s 100th Anniversary Gala Concert. Find more information about the series and the artists at www.uniontheater.wisc.edu. Subscriptions will be available on March 18 at www.artsticketing.wisc.edu. “We caught this West Coast group on a rare Midwest tour. 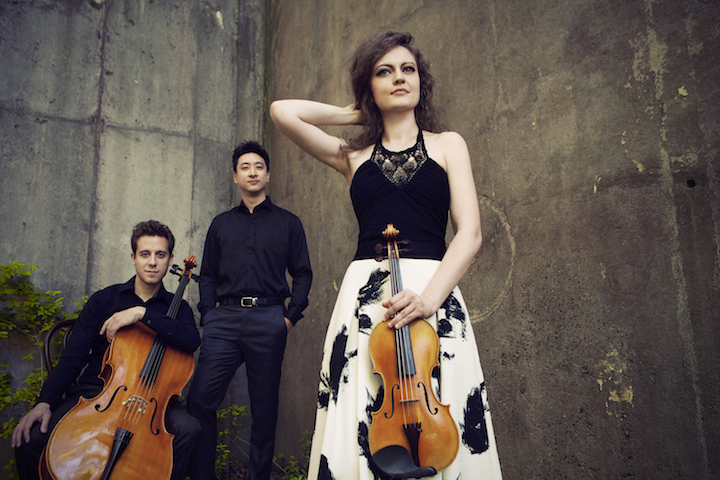 Trio Céleste (below) has firmly established itself as one of the most dynamic chamber music ensembles on the classical music scene today. They’ve wowed audiences worldwide with their “unfailingly stylish” (The Strad) and “flawless” (New York Concert Review) interpretations. 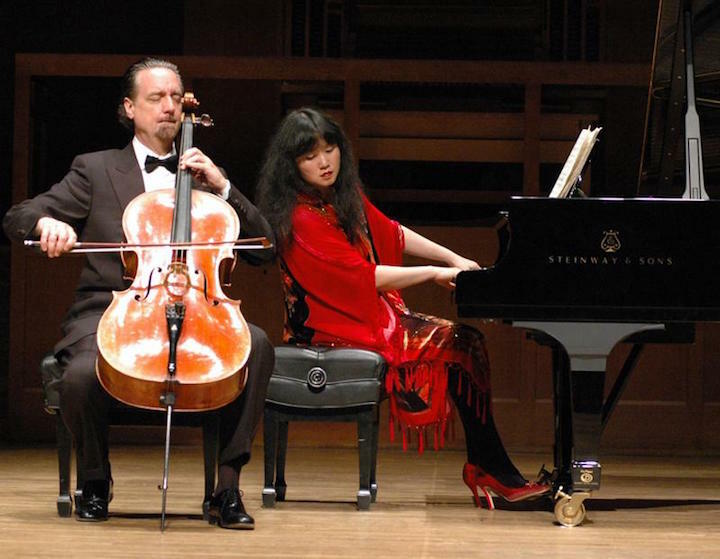 “The piano trio has firmly established itself as one of the most dynamic chamber music ensembles on the classical music scene today. This season’s highlights include recital debuts at the Chicago Cultural Center and New York’s Carnegie Hall, and the world premiere of Paul Dooley’s Concerto Grosso for Piano Trio and Strings. 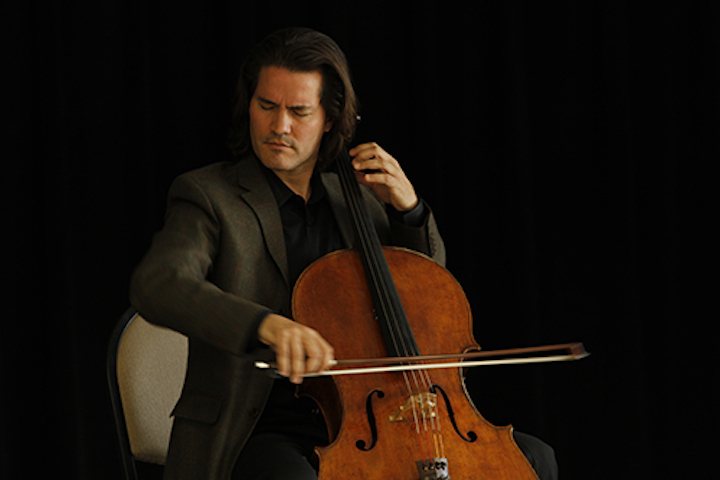 “Winners of the prestigious Beverly Hills Auditions and the recipients of the 2017 Emerging Artist Award from Arts Orange County, the ensemble has performed hundreds of recitals worldwide. 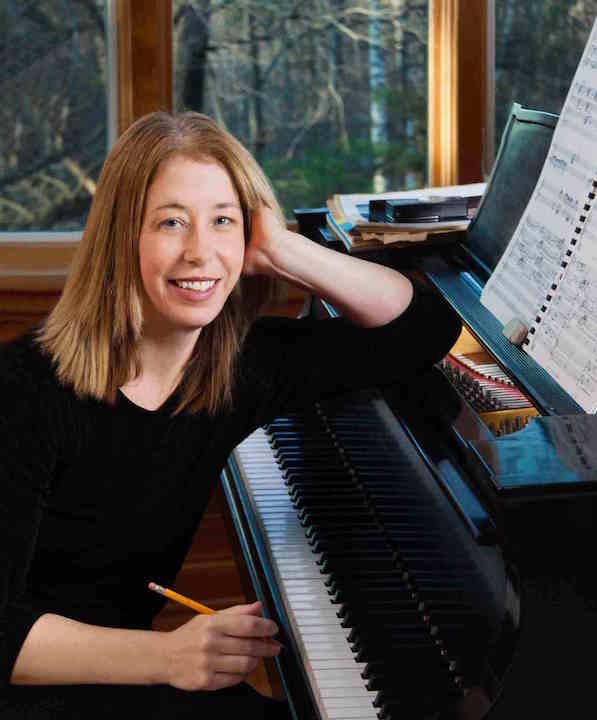 On this Saturday, Jan. 5, at 4 p.m., Trio Céleste will teach a master class at Farley’s House of Pianos, where they will instruct students from Farley’s House of Pianos and the Wisconsin Youth Symphony Orchestras (WYSO). This is a FREE event that the public is invited to observe. The master classes for the 2018-19 season are supported by the law firm of Boardman & Clark LLP. An artist’s reception will follow the concert. Service fees may apply. Tickets also for sale at Farley’s House of Pianos. Student tickets can only be purchased online and are not available the day of the event. You have to hand it to the Madison Symphony Orchestra for embracing the community and putting on a memorable show. When it comes to celebrating the holidays – and yes, the MSO does use the Christmas word – the MSO does so with a big variety of musical styles and a wide diversity of performers. That might explain why the concerts usually sell out year after year. Beginning with caroling in the lobby before the concert to the sing-along finale, where music director and conductor John DeMain and the Madison Symphony Orchestra don their Santa hats (below, in a photo by Peter Rodgers) and more, “A Madison Symphony Christmas” is a joyous time for all. Christmas classics are interwoven with enchanting new holiday music featuring members of the Madison Symphony Chorus, the Madison Youth Choirs and the Mount Zion Gospel Choir as well as guests soloists soprano Cecilia Violetta Lopez and bass-baritone Kyle Ketelson. This tradition marks the embrace and start of the holiday season for many people in Madison. Performances of “A Madison Symphony Christmas”will be held in Overture Hall, 201 State Street, on Friday night, Nov. 30, at 7:30 p.m.; Saturday night, Dec. 1 at 8 p.m.; and Sunday afternoon, Dec. 2, at 2:30 p.m. Ticket details are below. 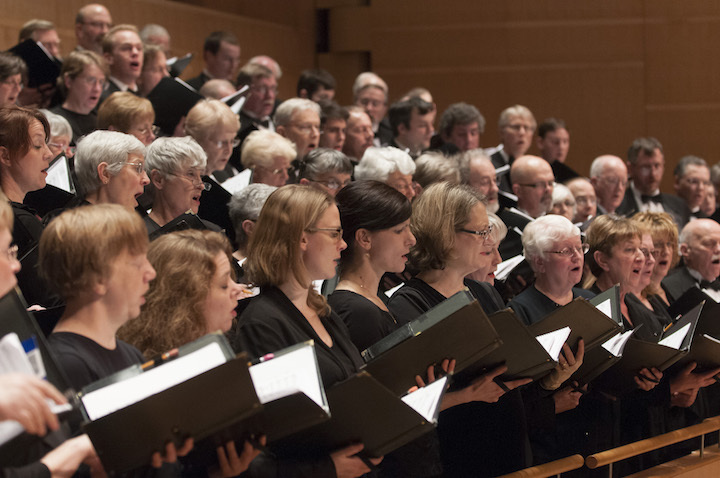 In addition, 45 minutes before each concert, audiences are invited to share the spirit of the holiday season singing carols along with the Madison Symphony Chorus. For the first time, “A Madison Symphony Christmas”can be experienced again in December — airing on Wisconsin Public Television (NOT Wisconsin Public Radio as mistakenly listed in an earlier edition) on Monday, Dec. 17, at 8 p.m., and on Christmas Day, Tuesday, Dec. 25, at 9:30 p.m.
Celebrated soprano Cecilia Violetta Lopez (below, in a photo by Devon Cass) has been named one of opera’s “25 Rising Stars” by Opera News. 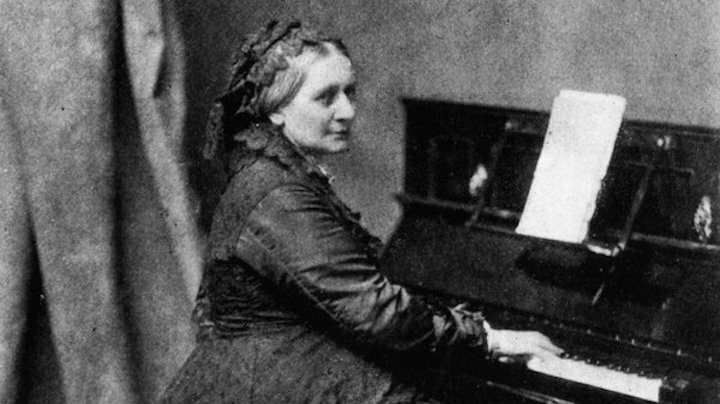 Lopez has received accolades for her signature role of Violetta in Verdi’s La Traviata, which she has performed countless times throughout North America. Her debut of the role was with Martina Arroyo Foundation’s prestigious summer festival, Prelude to Performance. 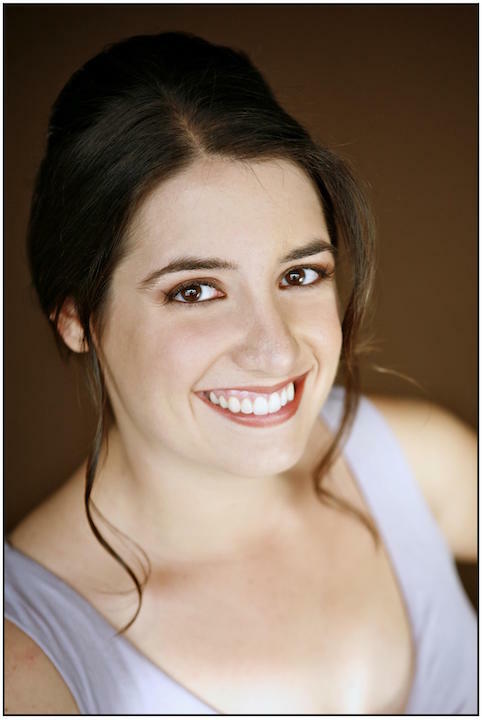 She has also performed the role with Opera Tampa, Opera Idaho, Ash Lawn Opera, and in her company debut with Virginia Opera. 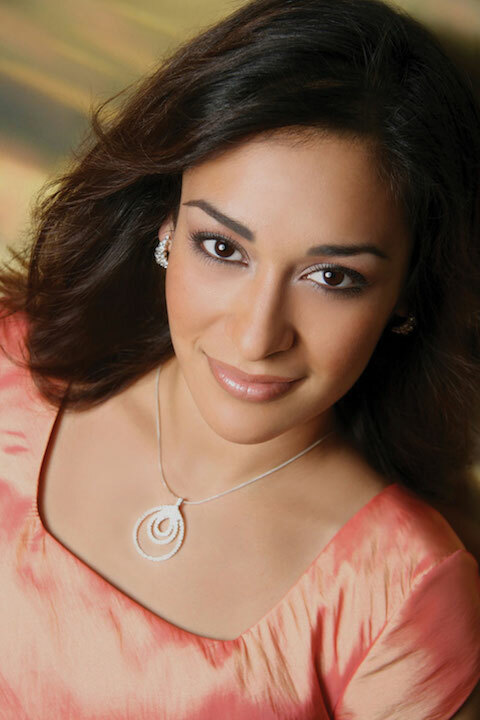 Lopez also recently made her European debut as Norina in Donizetti’s Don Pasquale with Zomeropera in Belgium. 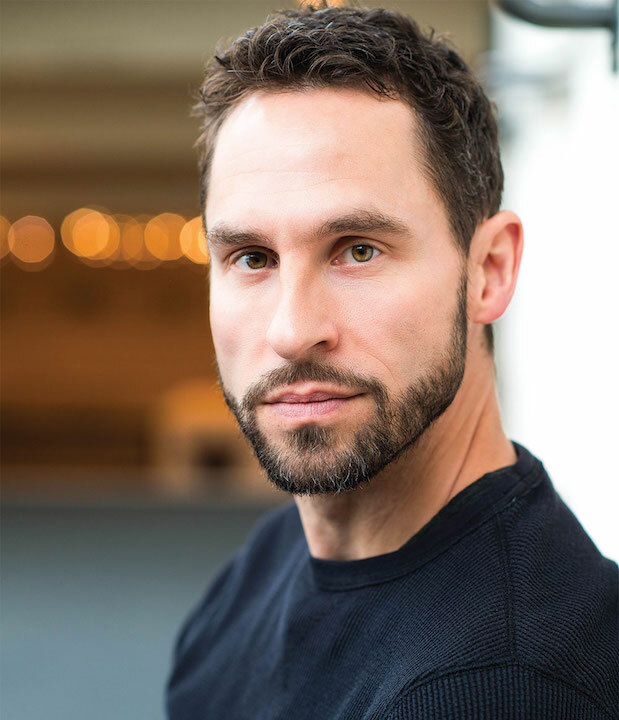 Based in the Madison suburb of Sun Prairie, bass-baritone Kyle Ketelsen (below, in a photo by Lawrence Brownlee) is in frequent demand by the world’s leading opera companies and orchestras for his vibrant and handsome stage presence and his distinctive vocalism. 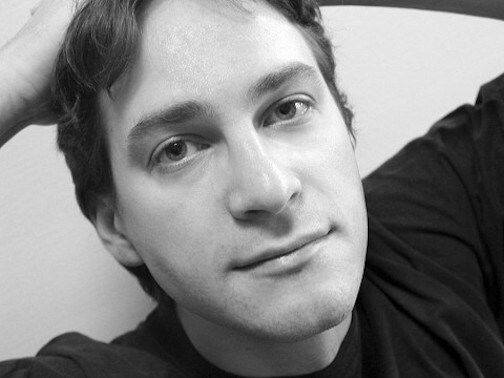 He has won first prize in several international vocal competitions, including those sponsored by the Metropolitan Opera National Council, the Richard Tucker Music Foundation (Career Grant), the George London Foundation, the Licia Albanese Puccini Foundation, the Sullivan Foundation, Opera Index, and the MacAllister Awards. 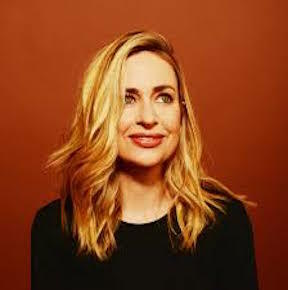 Highlights of Ketelsen’s recent seasons include performances at the Opernhaus Zurich, Staatsoper Berlin, Minnesota Opera, Lyric Opera of Chicago, Canadian Opera Company and the Metropolitan Opera, as well as performances with the San Francisco Symphony, the National Symphony and performances at Carnegie Hall. The Madison Symphony Chorus (below top, in a photo by Greg Anderson) gave its first public performance on February 23, 1928 and has performed regularly with the Madison Symphony Orchestra ever since. 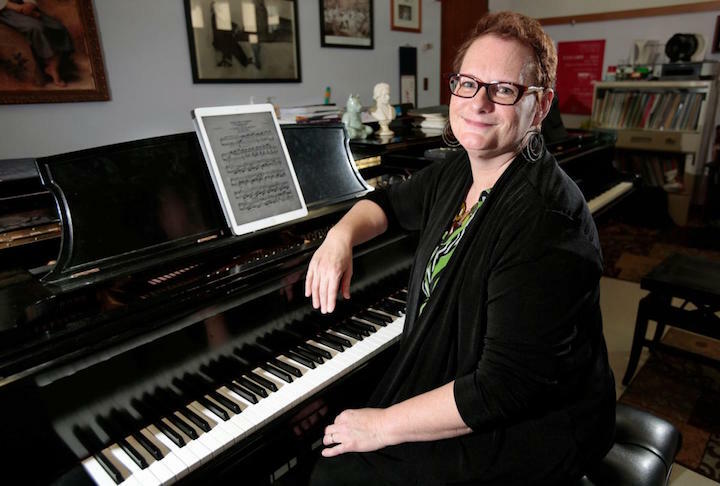 The Chorus is comprised of more than 150 volunteer musicians who come from all walks of life and enjoy combining their artistic talent under the direction of Beverly Taylor (below bottom), who directs the choral program at the University of Wisconsin-Madison’s Mead Witter School of Music. 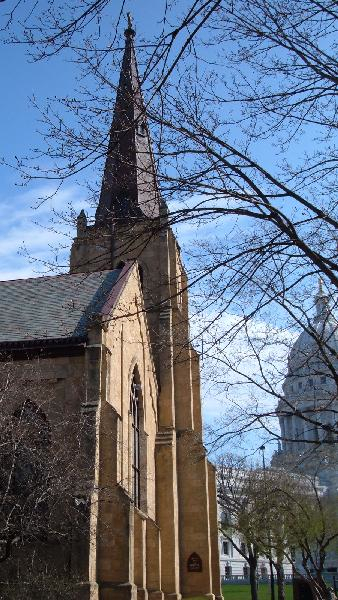 Recognized as an innovator in youth choral music education, Madison Youth Choirs (MYC) inspires enjoyment, learning and social development through the study and performance of high-quality and diverse choral literature. The oldest youth choir organization in Wisconsin, MYC serves more than 1,000 young people, ages 7-18, in a wide variety of choral programs. In addition to a public concert series, MYC conducts an annual spring tour of schools and retirement centers, performing for more than 7,000 students and senior citizens annually. 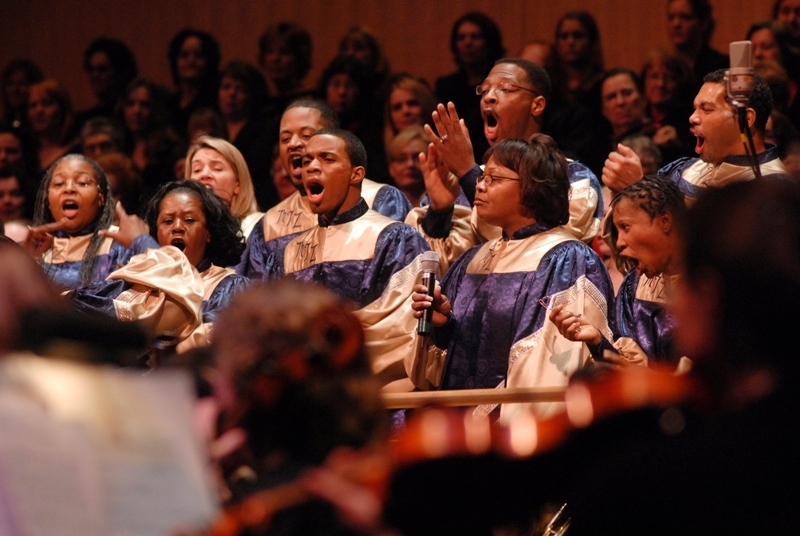 Under the leadership of Leotha Stanley and his wife, Tamera Stanley, the Mount Zion Gospel Choir (below) has been a part of the MSO Christmas concerts since 2005. The choir is primarily comprised of members from Mount Zion Baptist Church and includes representatives from other churches as well. 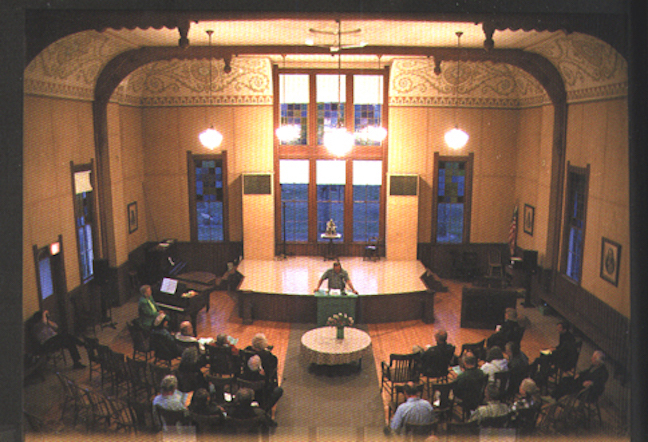 The choir has traveled extensively throughout the Midwest and has journeyed to Europe, singing in France and Germany. 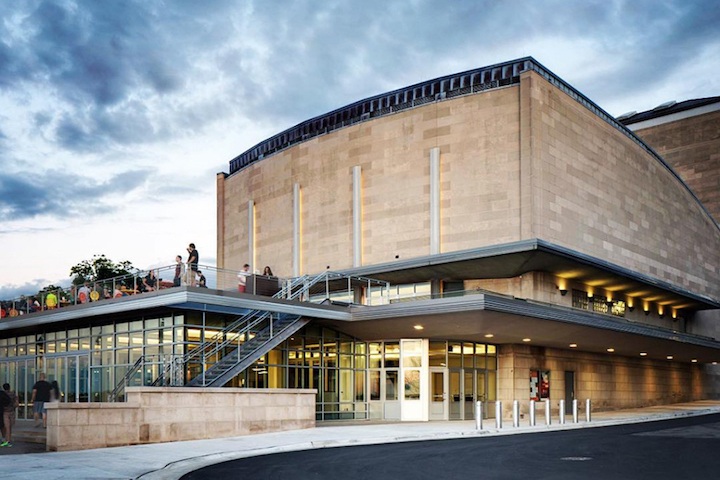 The Symphony recommends concert attendees arrive early for each performance to make sure they have time to pass through Overture Center’s security stations. The lobby opens 90 minutes prior to each concert. 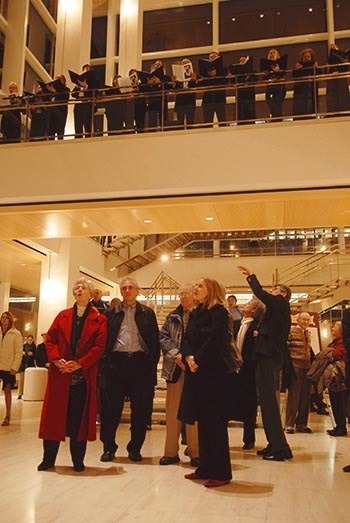 More information about A Madison Symphony Christmasis found here: https://madisonsymphony.org/event/a-madison-symphony-christmas/. Single Tickets are $18-$93 each and are on sale August 18 at https://madisonsymphony.org/concerts-events/buy-tickets/through the Overture Center Box Office at 201 State Street, or by calling the Box Office at (608) 258-4141. 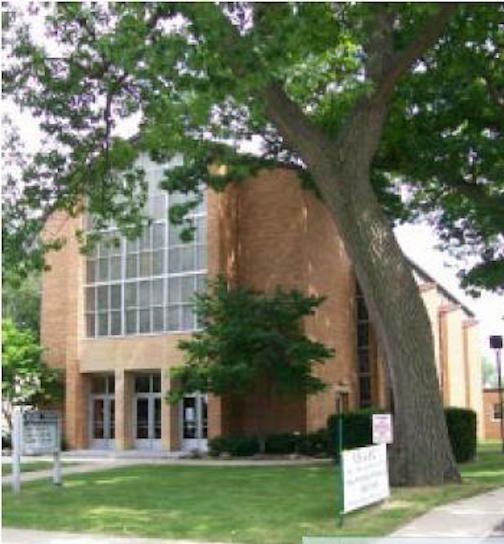 Major funding for the holiday concert is provided by: American Printing, Fiore Companies, Inc., Nedrebo’s Formalwear, Maurice and Arlene Reese Family Foundation, BMO Harris Bank, Hooper Foundation/General Heating & Air Conditioning, Judith and Nick Topitzes, and An Anonymous Friend. Additional funding provided by Colony Brands, Inc., J.H. 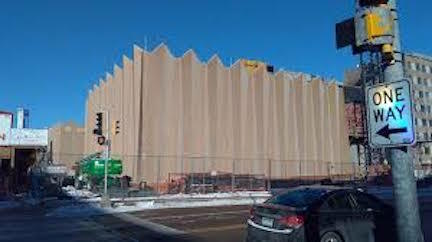 Findorff & Son Inc., Flad Architects, Forte Research Systems & Nimblify, Reinhart Boerner Van Deuren s.c., and Wisconsin Arts Board with funds from the State of Wisconsin and the National Endowment for the Arts. 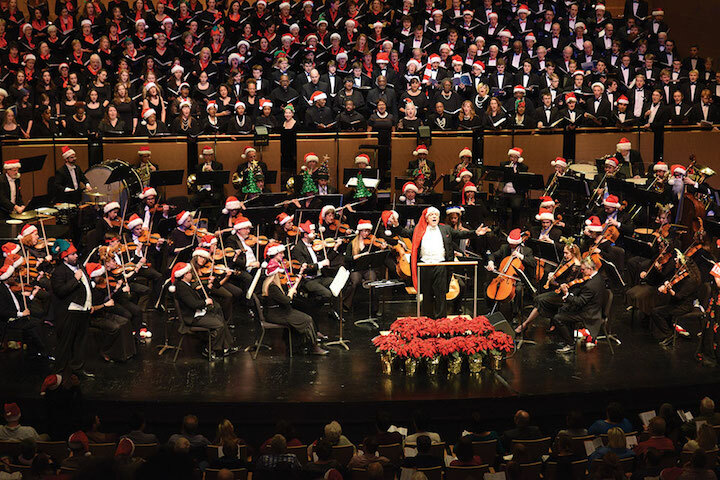 The Community Carol Sing is presented in partnership with Overture Center for the Arts. Clocking in at over 100 years old, the University of Wisconsin-Madison’s Pro Arte Quartet (below in a photo by Rick Langer) is the longest-lived string quartet in the history of music. 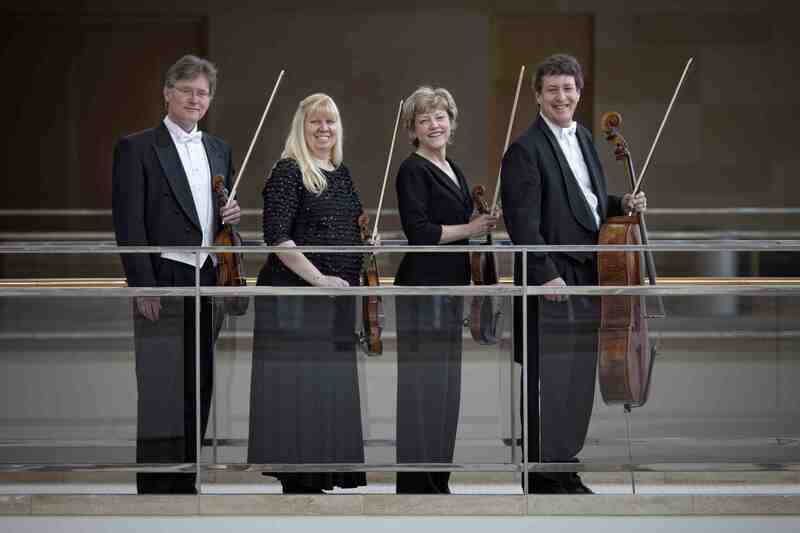 Current members are (from left) David Perry and Suzanne Beia, violins; Sally Chisholm, viola; and Parry Karp, cello. 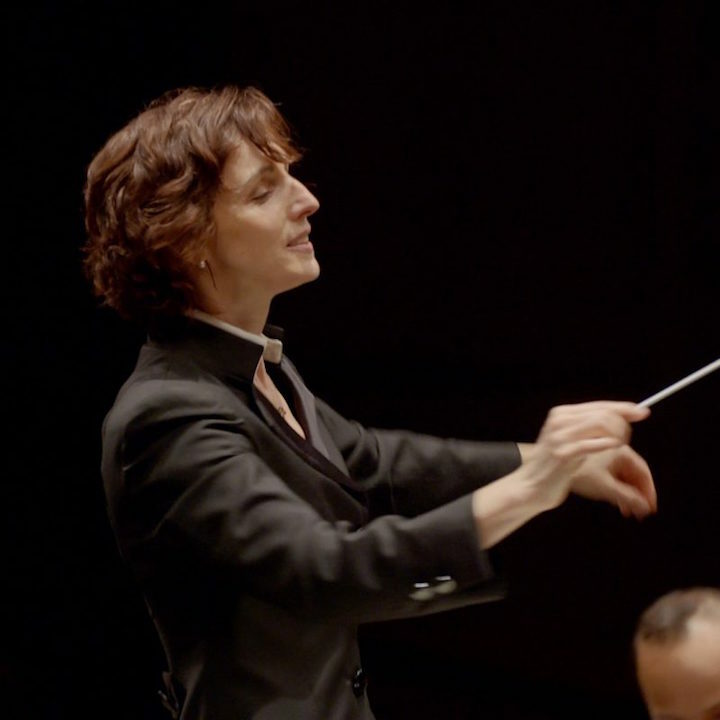 Ever since it was founded in Brussels, Belgium in 1912 and then in 1938 found refuge from World War II as the first musical artists-in-residence at the UW-Madison (or anywhere), the Pro Arte has had the reputation of commissioning and championing living composers and new works. Such composers, whose works they also premiered, include Samuel Barber, Bela Bartok, Darius Milhaud, Arthur Honegger, Frank Martin and many others. But the Pro Arte Quartet (below, performing at Carnegie Hall in a photo by Rick Langer) is also unparalleled in performing the classics of the quartet repertoire. 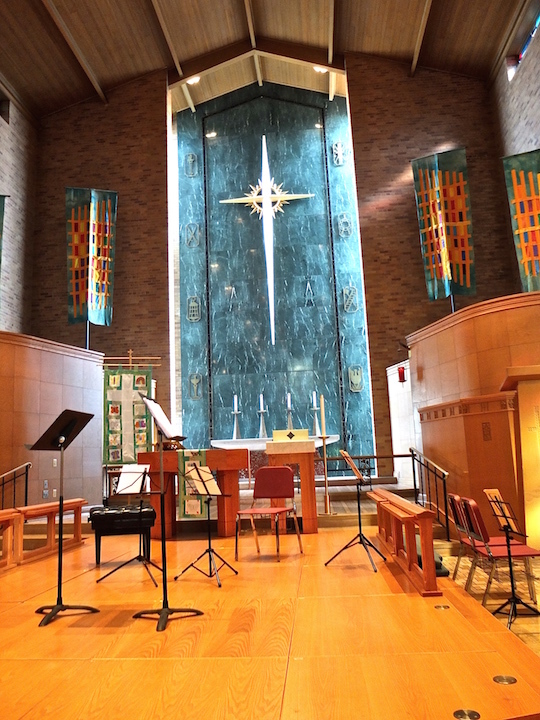 You can hear that for yourself this coming Friday night at 8 p.m. in Mills Hall, when they will play a FREE concert of three quartets that came late in the composers’ careers. The quartet will perform the famous and aptly nicknamed “Sunrise” String Quartet in B-flat Major, Op. 76, No. 4, by Franz Joseph Haydn; the late Beethoven String Quartet No. 15 in A minor, Op. 132, with its “Heiliger Dankgesang” – or “Sacred Hymn of Thanksgiving” (which you can hear and see graphically depicted in the YouTube video at the bottom); and the String Quartet No. 7, Op. 108, by Dmitri Shostakovich. The Ear thinks the program is hard to beat for either experienced string quartets listeners or for newcomers to the genre. He bets you will too. 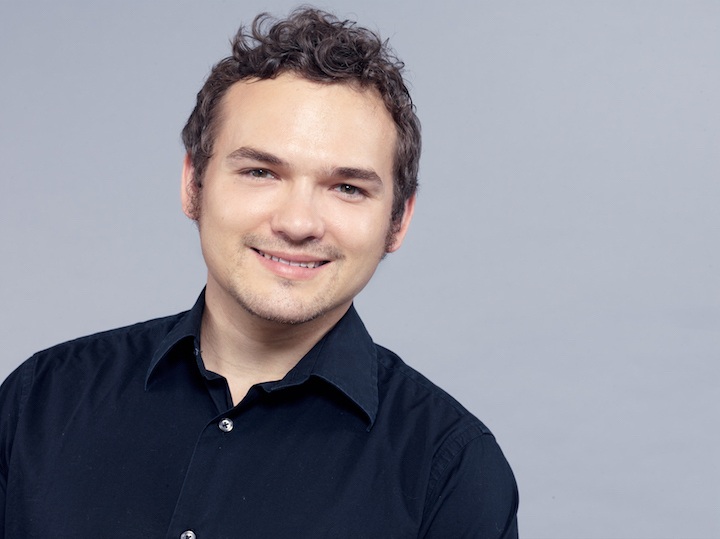 Joseph Gascho will give the Fourth Annual Mark Rosa Harpsichord Recital at 7:30 p.m. this Saturday night, Feb. 24, in the Landmark Auditorium of the First Unitarian Society of Madison, 900 University Bay Drive. 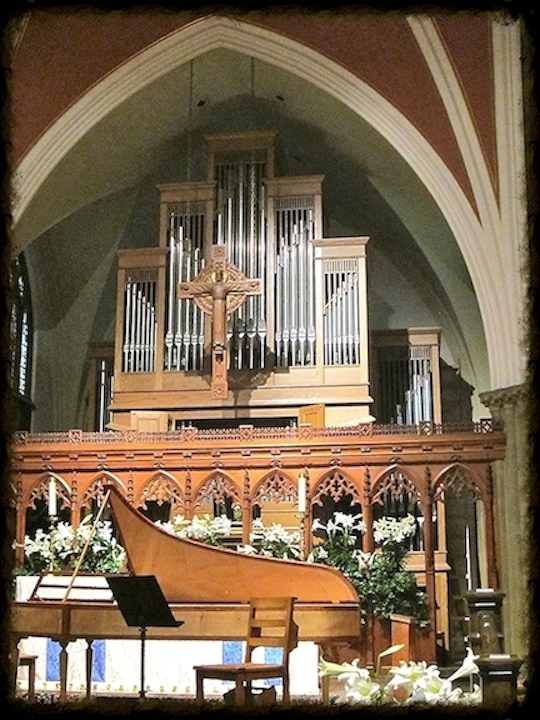 The featured instrument is the elegant 18th-century style French double-manual harpsichord made by Mark Rosa in Madison in 1979. Admission is at the door: $20 for the genera public, $10 for seniors and students. 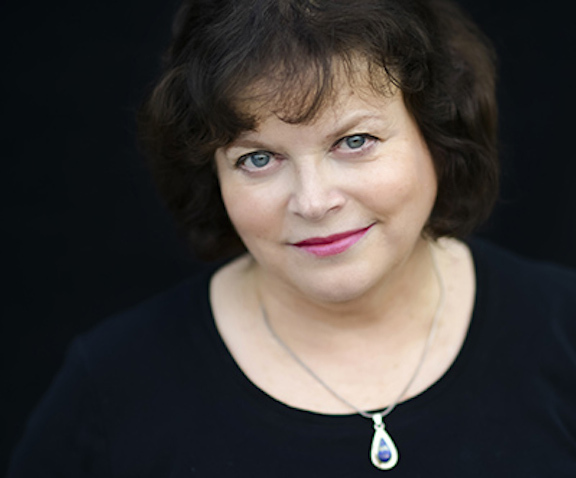 In 2014, Gascho joined the University of Michigan School of Music, Theatre and Dance in 2014 as an assistant professor. 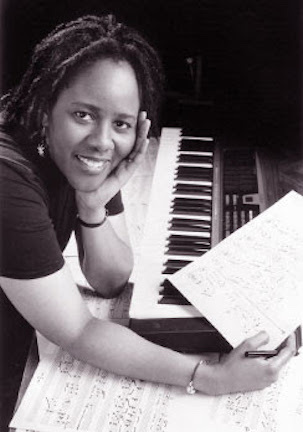 Gascho enjoys a multi-faceted career as a solo and collaborative keyboardist, conductor, teacher and recording producer. 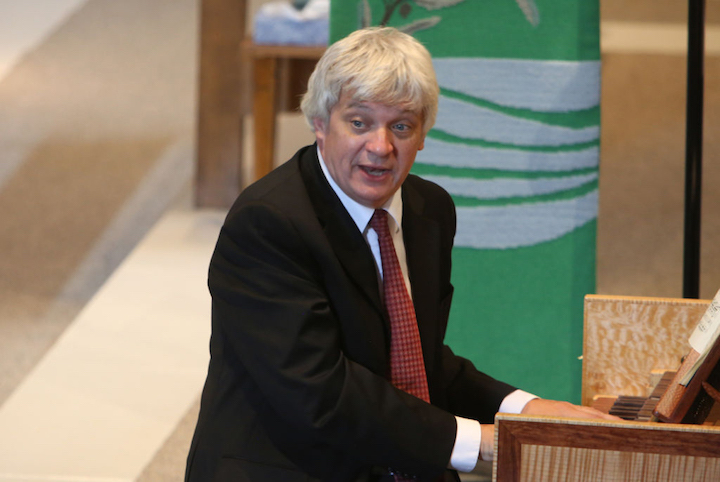 As a student of Webb Wiggins and Arthur Haas, he earned masters and doctoral degrees in harpsichord from the Peabody Conservatory and the University of Maryland, where he also studied orchestral conducting with James Ross. Recent highlights include performing with the National Symphony at Carnegie Hall, the Mark Morris Dance Group and the Kennedy Center Opera Orchestra, and conducting Mozart’s “Idomeneo” for the Maryland Opera Studio. 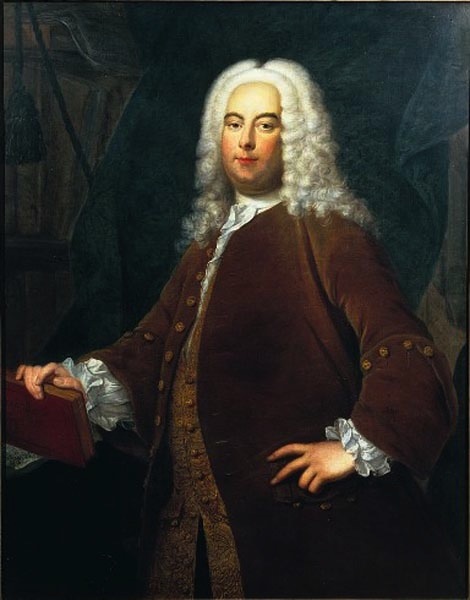 He has also conducted numerous operas from Monteverdi to Mozart for Opera Vivente. 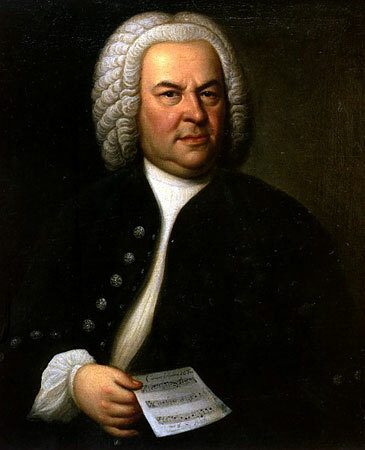 At the Oberlin Conservatory’s Baroque Performance Institute, Gascho conducts the student orchestra, coaches chamber music, and teaches basso continuo. 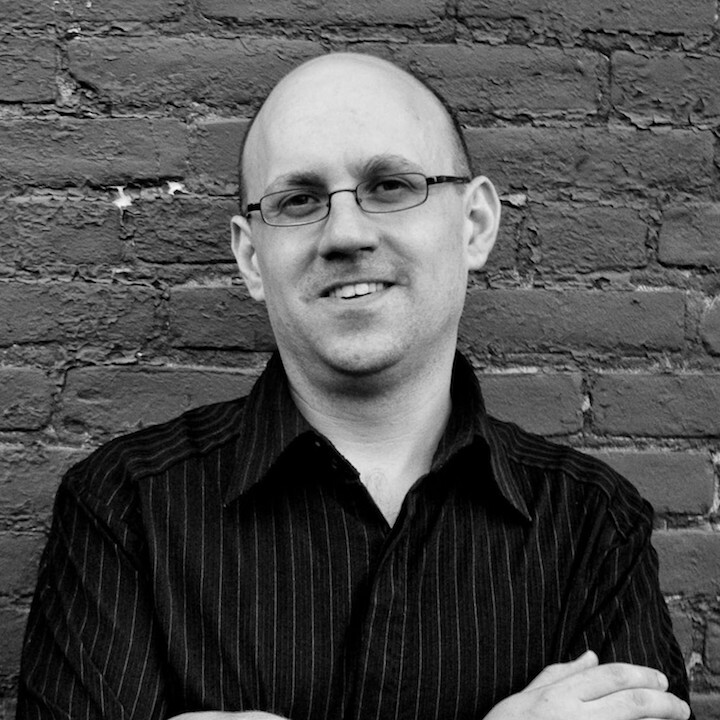 A strong proponent of technology in the arts, he has used computer-assisted techniques in opera productions, in a recent recording with the ensemble Harmonious Blacksmith and percussionist Glen Velez, and in his continuo classes.